It's not everyday that your second single gets roughly 50,000 plays in one week on Soundcloud, but that's exactly what Melbourne's Vance Joy (aka James Keogh) has experienced with his second single "Riptide". Hopefully it's not just James' mum that is pressing that play button on Soundcloud haha. If you're a fan of the old folk-pop scene then you'll love the sound he's producing at the moment. I know I've spoken about my love for the banjo before, but the ukelele in this particular number lifts this song to new heights. 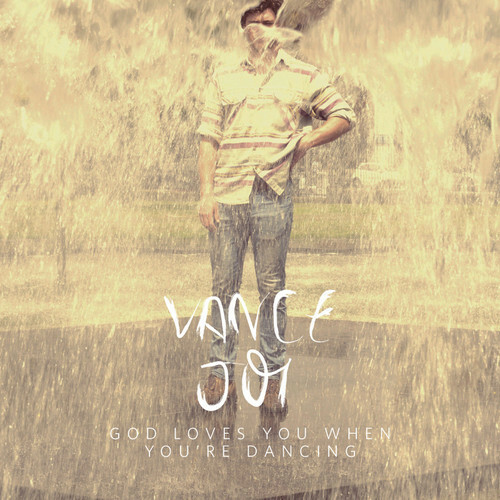 Much like Mumford & Sons have their banjo, Vance Joy has his trusty ukelele. There isn't actually one boring bit in this song! It's filled with numerous hooks and well-constructed bridges, there's just so much going on in this song, but James' strong vocal performance will have you captivated all the way through. The single comes from his debut EP God Loves You When You're Dancing to be released this Friday in Australia. Enjoy! Is this one available on vinyl?